Please clearly indicate the subject (in the subject line) and your contact details, including your telephone number. For all other enquiries, please see some additional useful links, Fabric Samples, Order Tracking, Delivery and Returns & Exchanges. Why are your prices much lower? How can I be sure its good quality? Where can I find more information about your sofa coverings? Do you have any showrooms where I can see the products? Can I order by phone or speak to customer service? When will I receive my documents/ proof of SALE? If my item is damaged during delivery what can I do? What if my item does not fit into my home? When should I dispose of my old sofas? How can change my personal information? Can I call you for free? How can I care for my furniture? I found a bug on the website, what do I do? I didn’t find an answer to my question? Our goods cost less because we have cut out all the middleman costs, warehousing and retail outlets costs, simply ordering direct from the supplier when you order. Stockpile goods – ship goods when not sold – incur excess shipping costs through shipping non sold goods – have hefty storage costs or buy from wholesalers who need to make their own profit margin. All our suppliers and products are thoroughly vetted for their production standards and quality of finished product and this is the cornerstone of our business model. Every product we sell has detailed information on the construction, materials and finish and we have nothing to hide as we know that we offer the best for less. Please take a moment to compare our product specifications against competitors and you will discover the benefits of buying luxury for less from Delux Deco. Please read our Sofa Buying Guide for full information. 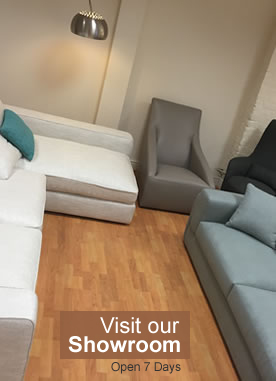 We have a showroom with a selection of products from each supplier shwoing the level of quality and popular models. The models shown are listed on our showroom page with all the address details etc. What happens if there is damage to the products on delivery ? 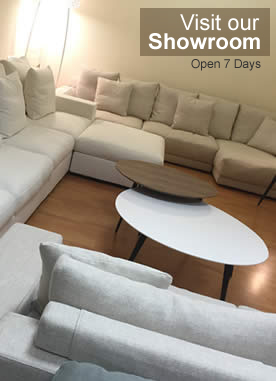 Delux Deco make every attempt to ensure products arrive in perfect condition including carefull QC of the product on departure and additonal packaging and protection versus most other sofa suppliers. In addition we use specific furniture deliver people to take care of delivery of your goods. Despite this problems can still occur due to the nature of the products and the degree of handling required to get the goods to your home. Delux Deco will repair or replace any defective parts and we employ a National repairs services company to manage any such repairs. As we order “on demand” direct from the factory we have to pay for the goods up front. In the unlikely event that you are not happy with the goods or they are damaged we of course will exchange or refund any monies paid. Please see our Money Back Guarantee and Returns & Exchanges Policy for further details. "Processing" This can last for several days or a week or two and on some occasions a few days more. This is dependent on the available capacity of the releveant manufacturer and the timing of our order cycle. Your order is placed and production is commenced with suppliers as soon as possible. "In Production" This is to inform you that your order is being made. "Ready to Ship" This is a sea freight from the far reaches of the world and not to be confused with delivery. This period can be up to 2 weeks. "Shipping" Your goods are now on a confirmed vessel and will arrive with our logistics partner in approximately 4-5 weeks. 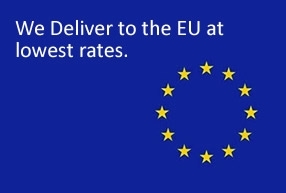 NB: We quote arrival dates which are ETA and this may vary a few days here or there becuase of variables such as weather or UK customs requirements. This usually falls on schedule, but please allow us some degree of latitude regarding specific arrival dates. "Delivery" This is the final status and can take 2-3 days from arrival to up to 2 weeks dependent on where you are based. It curently takes slightly longer for Scotland and more remote parts of Wales. London deliveries are mainly at the weekend. Please note: We operate system that is designed to deliver you the absolute best value possible. We make every attempt to get the goods to you as soon as possible and we are always seeking ways to have more goods arrive quicker for our customers convienance. Most of our orders are around 12 weeks. Why do you have some bad reviews ? We are on online business and we sell goods direct from the factory at lowest prices to our customers. Sometimes things go wrong and some orders have been late and there are occasional delivery mix ups and scheduling issues. With thousands of orders, very few people end up with problems, however those that do are most vocal and post their discontent on external reviews sites. We apologise to those persons in advance. Main reasons for bad reviews: "Had problems with delivery or late orders". Unfortunately we are unable to guarantee 100% punctuality as our external suppliers and transportation companies are also not 100% perfect and susceptible to unexpected events and acts of god. 95% of our orders are on time. Main reason for good reviews: "Excellent product quality and value" far in excess of any other retailor, precisely because the goods are made to order and take some time. 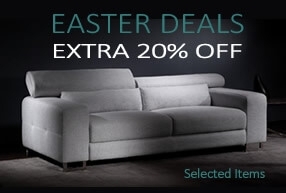 If you value quality and price over a few weeks extra waiting time, welcome to Delux Deco. Sometimes you get it wrong or sometimes it’s not what you expect, that’s why we offer a free 14 days returns policy. We hope you will be delighted with your purchase, but if you wish to return the item, we aim to make it as quick and convenient as possible. If for any reason you are dissatisfied, you may return the item within 14 days days of purchase as long as the item is in exactly the same condition and packaging as when purchased. Terms apply. Please go to the Returns & Exchanges page for more information. We accept all major credit and debit cards although we recommend the use of credit cards as these offer even more consumer protections. We welcome any queries and are happy to answer any question you may have Monday to Friday between 9am and 5pm. Your invoice will be sent to you immediately by email. We deliver all over the UK and EU however there may be a surcharge for some goods. In the unlikely event your item is damaged or has a fault we will repair, replace or refund the full amount of the transaction. Please report this to us immediately. In the unlikely event that your item does not fit inside your home, we would offer a similar replacement item as an alternative or a refund. When should I dispose of my old sofas ? 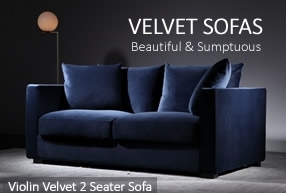 Please do not dispose of your old sofas until you have had a confirmed deliverd slot from our carrier who will text or call you to confirm the sofas are ready for delivery. Just go to the My Account link at the top of the page and add your details. All your information is 100% private and secure. You may log-in at any time and change any information you wish. We offer free online chat with an operator or a fixed local rate, nationally. Your carrier will call you back to arrange a second delivery slot. Please go to our Product Care and Advice page. Please email support@deluxdeco.co.uk and Thank you for your assistance. Please email support@deluxdeco.co.uk with any question.